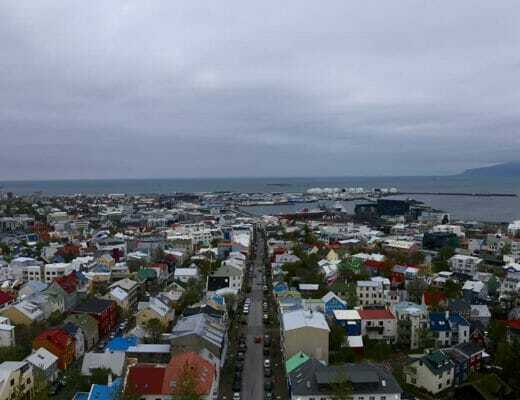 After a short night on Reykjavik, the roadtrip starts directly in the northwest of iceland, not the most touristic part, which is a good thing ! 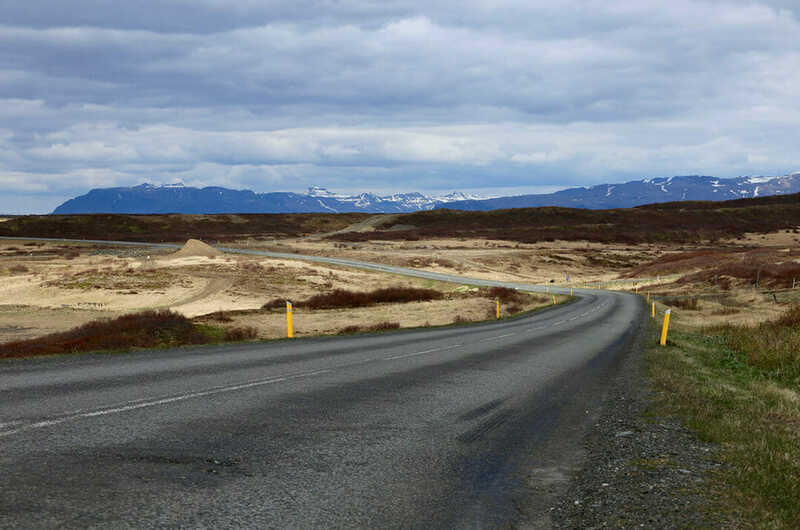 The first kilometers out of the city are very exiting, the more we drive the less we cross cars … the famous yellow posts appear on each side of the road, the horizon emerges, the mountains are there… This time, this is it, Iceland here we are ! 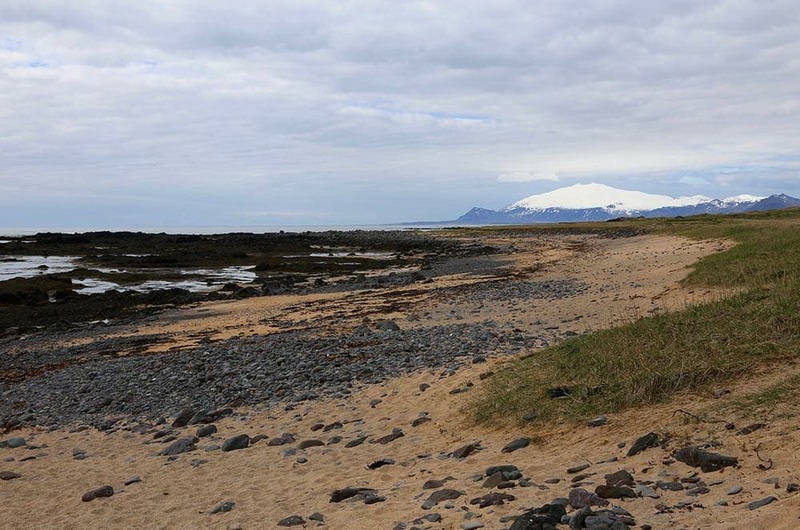 This is the best place in Iceland to see seals, you can access to it from Route 54 in the Snaefellsnes peninsula. The best time to observe them is in June / July. 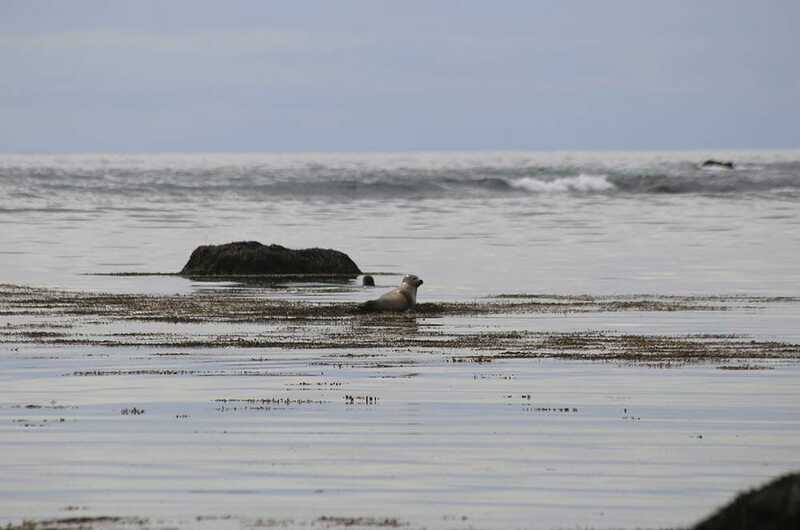 The seals are more often on the rocks and are sometimes well camouflaged, do not hesitate to take your binoculars! 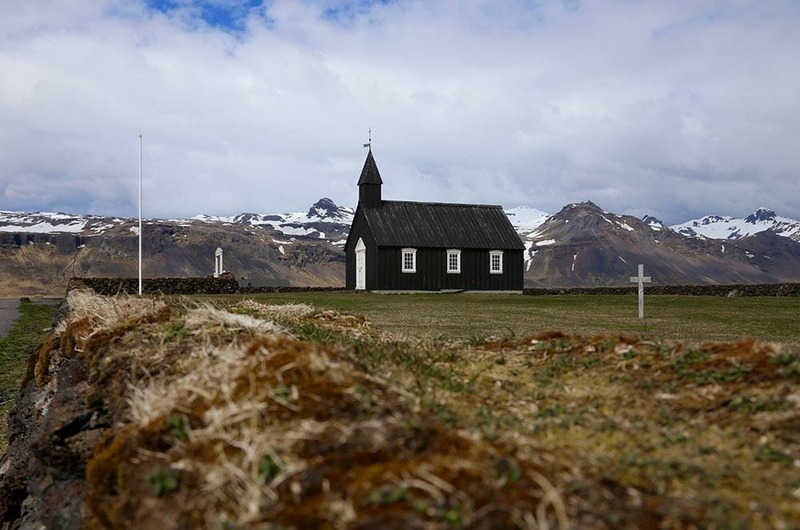 A few kilometers further, lost in the middle of nowhere, we see the black church of Búðir. 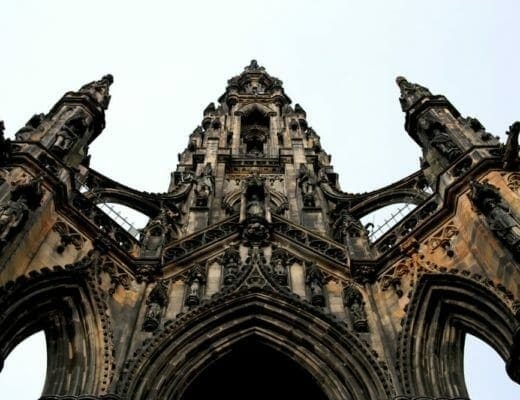 Atypical and mysterious, this little church is the favorite subject of many photographers. Do not hesitate to walk around, the beach is very close, there is no noise, we almost thought we are alone in the world! Noticing some smoke on the ground, we made our first unexpected stop to explore what we thought it would be hot springs. But a further, we saw a little cayon under the Snæfellsjökull glacier. A place straight out of the Lord of the Rings or Games of thrones. You will have to go through small streams, climb, climb and climb, but the game is worth the candle … we entered the heart of the glacier! 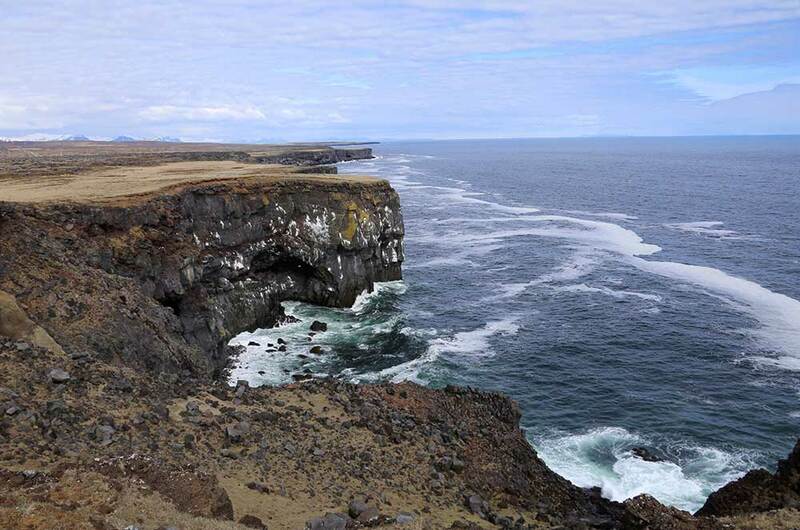 Stunning views of the coast, this is the farthest west of the island, again you will met alomost nobody and you can have a beautiful hike along the sea in the large lava fields from the volcano Snæfellsjökull. The day is now over, heading to our Guesthouse “Grundarfjordur” in the small town of Hlíðarvegur. 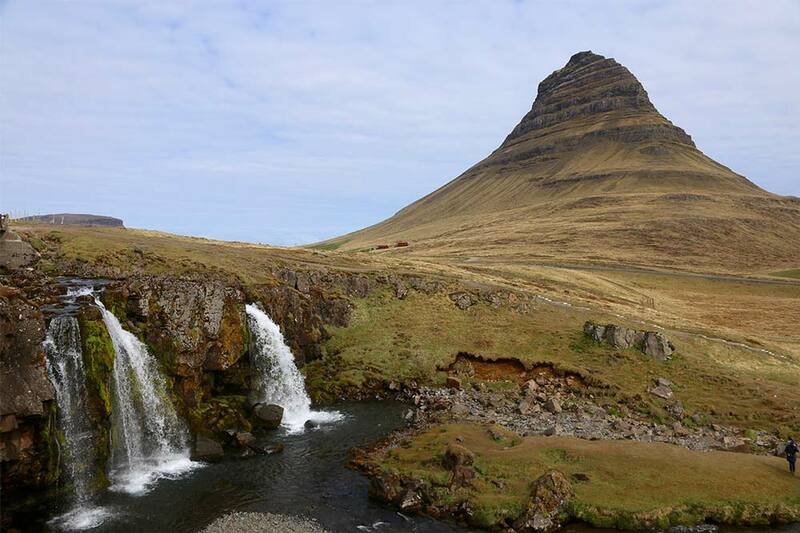 Day begins close to the hotel, in one the most magical landscapes of the island « Mount Kirkjufellsfoss ». 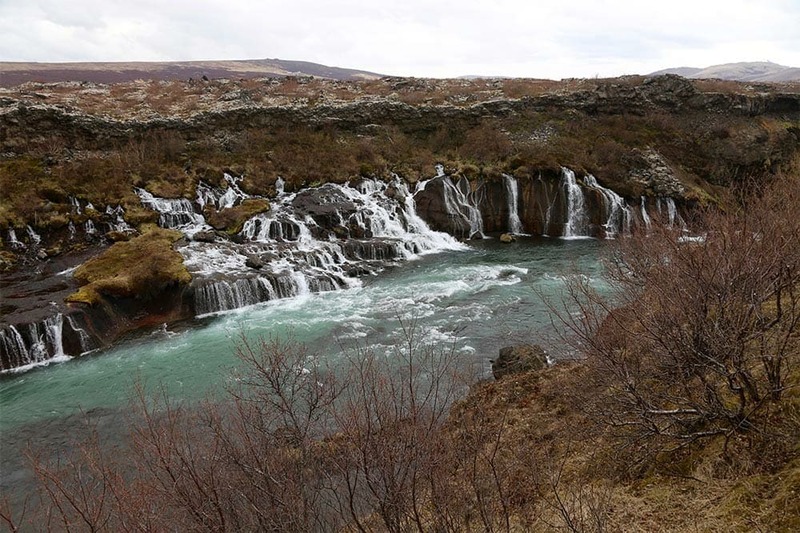 At first glance, we thought we saw a series of small waterfalls, but the closer we get the more they become bigger. 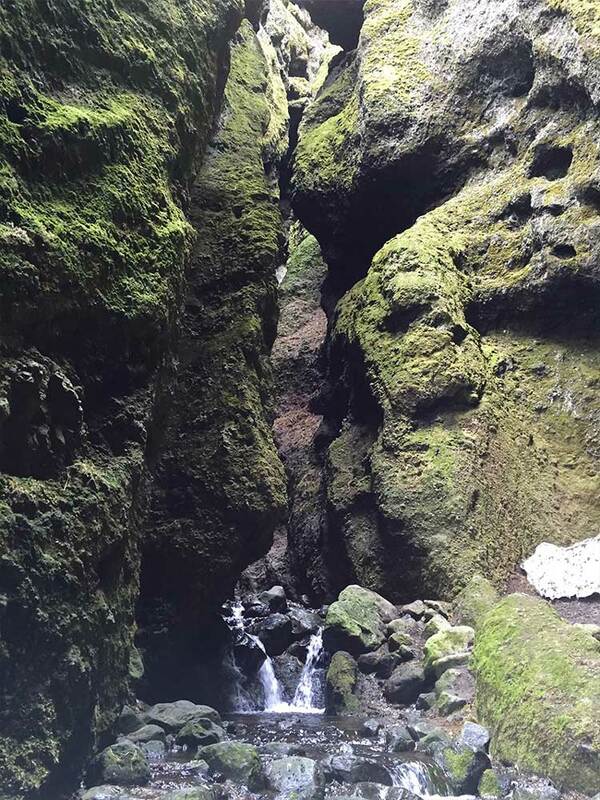 And it’s by going to the side of the waterfalls, that we discovere this famous point of view! For the bravest, sunrise is breathtaking. The site is very easily accessible, just park on to the small spot close to the road and walk a few minutes. 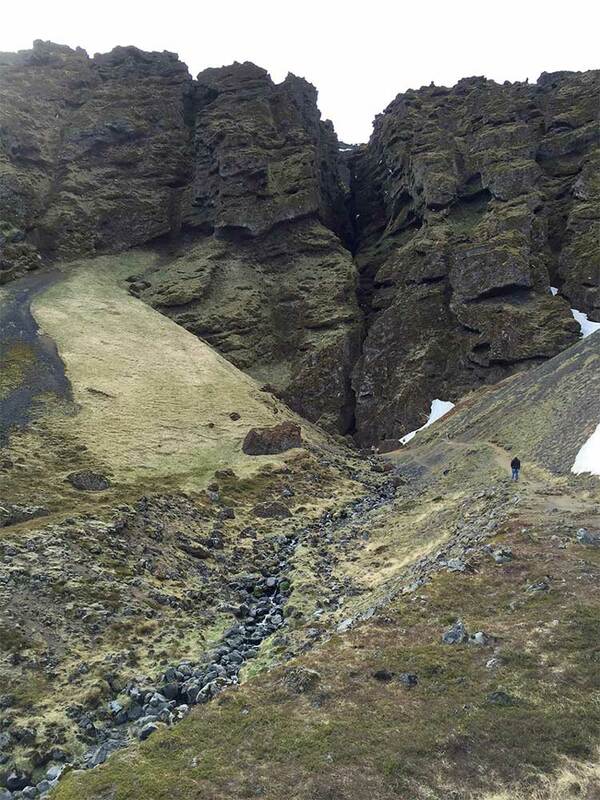 To reach Cliffs of Basalt Gerðuberg we have to go back to the land! 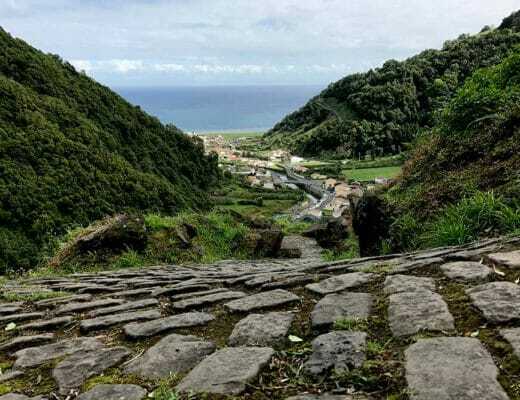 Landscape there is radically changing! 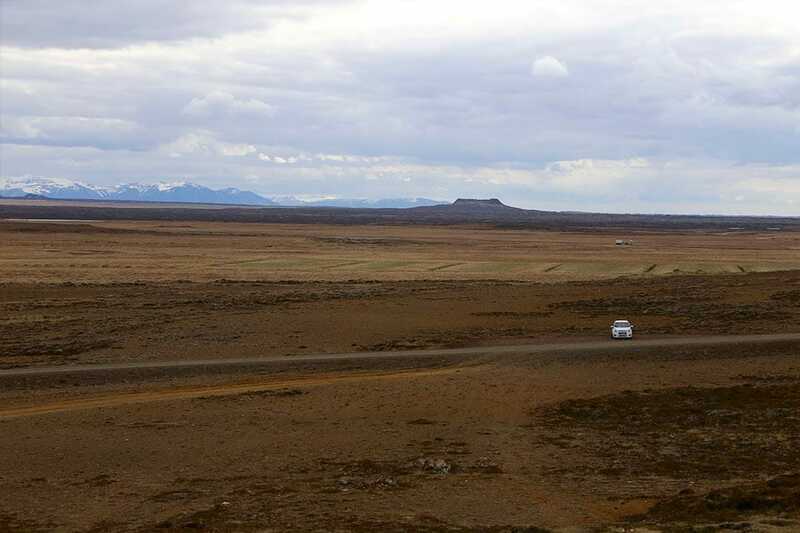 Coast landscape change for kilometers and kilometers of lava fields, Are we on the moon ? 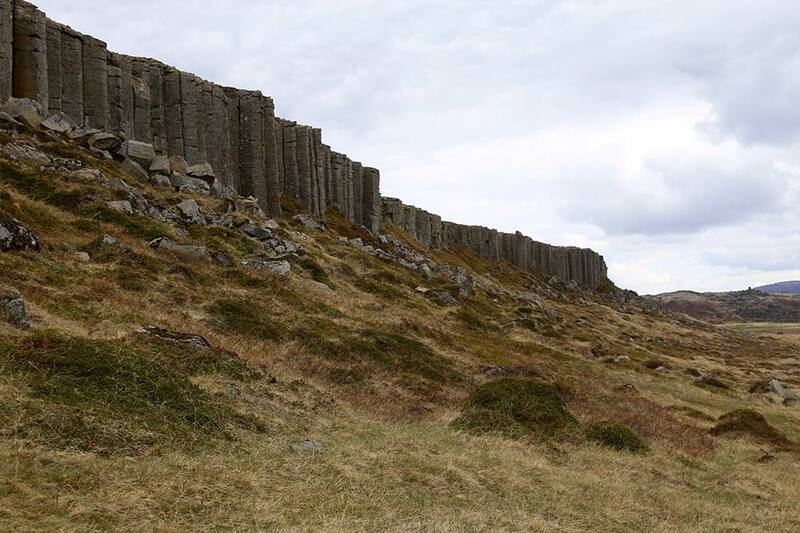 When we arrived we discover an incredible site: a set of basalt columns. This lava field was formed during a gigantic eruption near the Langjökull glacier, around 930. 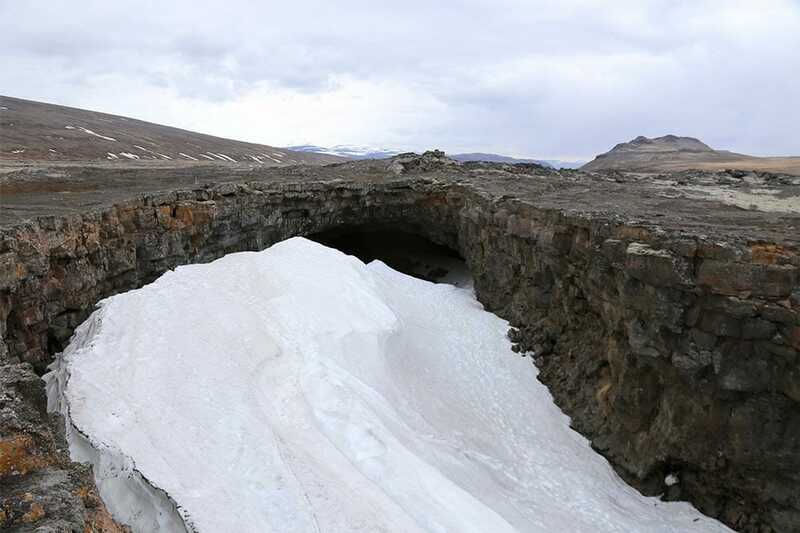 These are the largest lava tunnel in Iceland. We ventured alone, and quickly we understood why it was a bad idea! 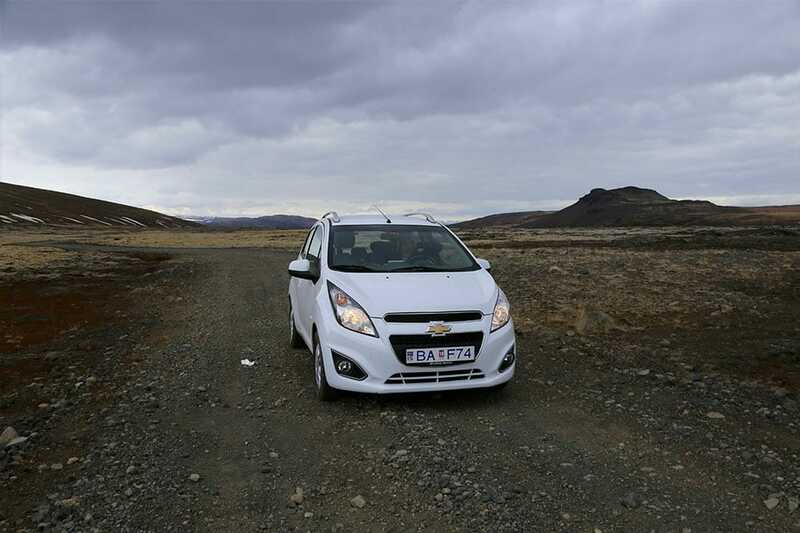 After a few kilometers there was no more road and it goes from a dirt road to a lava road. 20 km in the middle of nowhere, we became to wonder if there was something at the end, worse, if we are going to find our way back! And the answer is yes ! 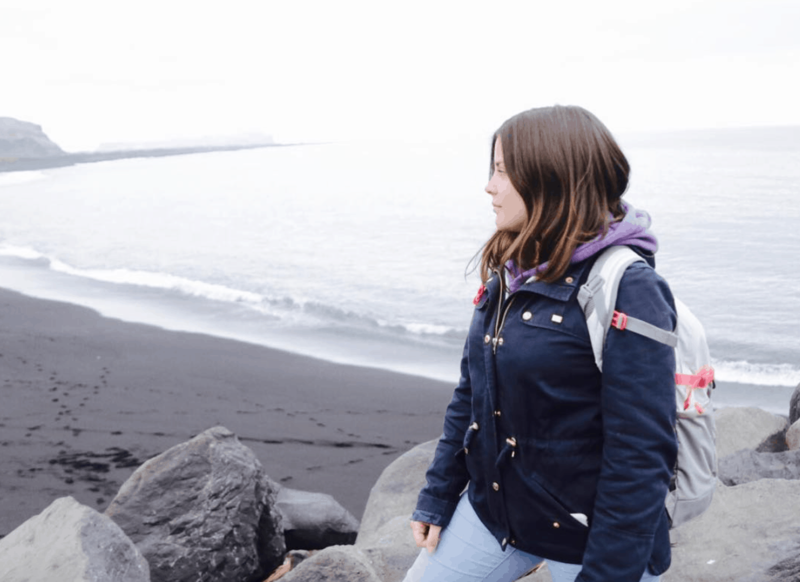 The place was desert, we have ventured to walk around and even to enter into some caves (which of course is not recommended) Of all the experiences we had in Iceland this one remains one of the most memorable. The ground bounced, the caves are getting bigger and the silence is disconcerting. To finish the day more quietly, let’s go to Deildartunguhver to see our first « real » hot springs, i can confirm it was warm ! The water gushes to more than 100 degrees! 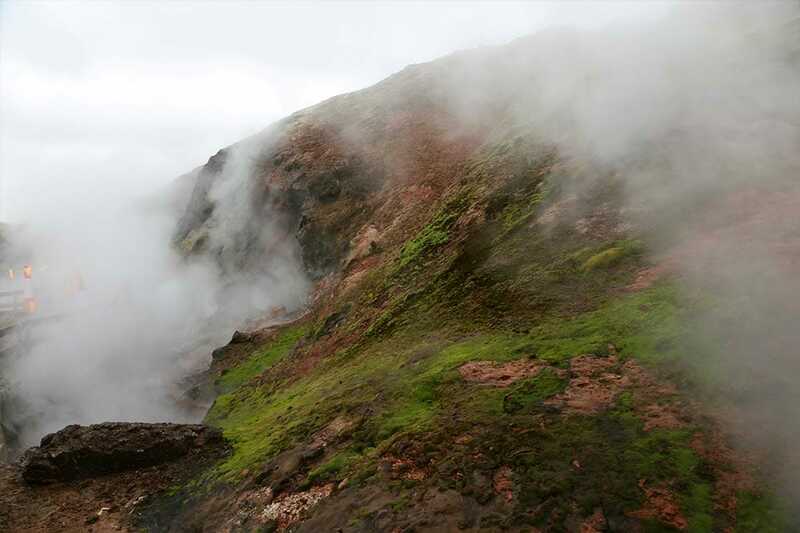 It’s the most important hot springs in Europe. Part of this water is used for geothermal district heating of the city of Borganes where we will sleep after that. 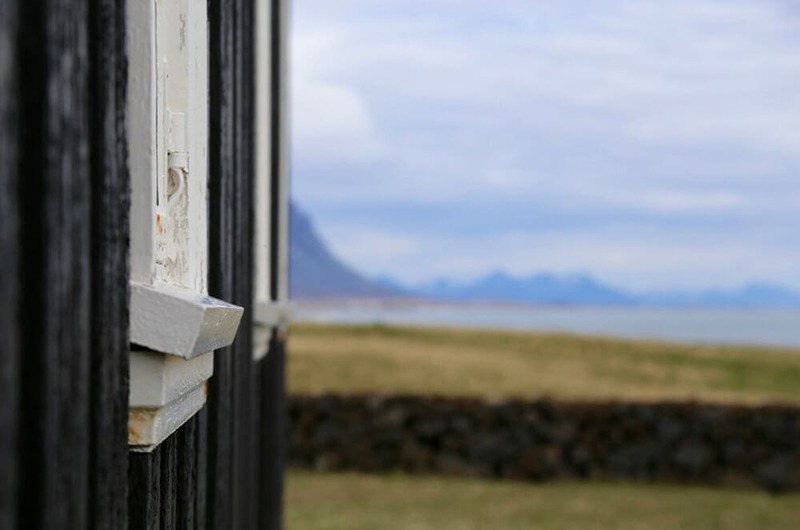 One of our best Guesthouse memories in Iceland, why…? 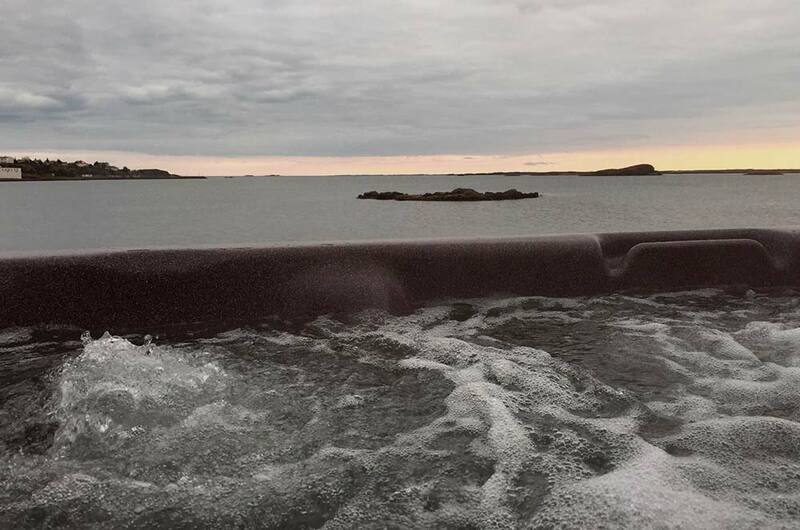 Take a room with a lake view and… a jacuzzi, what’s best after a long day than a 40 degrees bath, outside, facing the sunset ?